The Patriots Connection, a program of the Rancho Santa Fe Foundation, is a leading resource for donors seeking to be more impactful in their support of programs for military service members. Rancho Santa Fe Foundation is committed to honoring and supporting the members of the San Diego military community for their service to our nation. Through its grantmaking, The Patriots Connection (TPC) at the RSF Foundation seeks to expand the capacity of San Diego area nonprofit programs that serve active duty military and veterans. A key component of The Patriots Connection is the San Diego Directory, which is a listing of trusted and qualified Organizations of Distinction in San Diego County that are addressing the continuing needs of local military and veteran families. TPC, through extensive outreach, rigorously and thoroughly evaluates organizations on eight essential criteria to determine their effectiveness, efficiency and use of best practices. Organizations of Distinction meeting these standards are included in the San Diego Directory. All nonprofits qualified for the San Diego Directory are eligible to apply for grants from The Patriots Connection. Through this Directory, The Patriots Connection strives to increase the San Diego community’s awareness of the ongoing needs of our nation’s heroes and of the finest local programs addressing those needs. When our donors give collaboratively through The Patriots Connection, we can address community needs with greater impact than most donors can achieve individually. RSF Foundation’s military program has grown and evolved since its inception in 2008. Grants totaling more than $1.3 million have been awarded to programs serving junior enlisted military families, transitioning warriors and veterans. In 2018, The Patriots Connection granted $151,000 to 16 San Diego County nonprofits. For the past ten years, hundreds of San Diegans have relied on RSF Foundation as the leading resource for identifying the most effective and worthwhile programs. 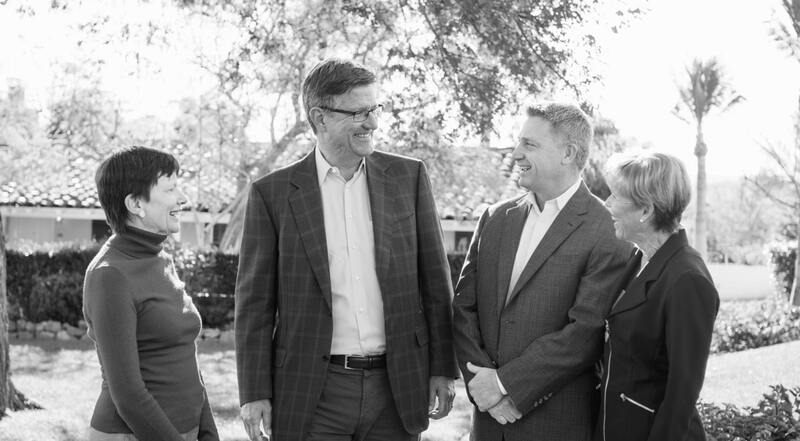 Funding for grants comes from the generous, purposeful philanthropy of donors at the Rancho Santa Fe Foundation who recognize the significance of collaborative giving. These donors’ combined contributions have provided more than $1,000,000 to address the greatest needs of the San Diego military community. We’re proud that our donors and community are served on a local level. Many of our donations are provided by residents of the Coastal North County San Diego, which include Rancho Santa Fe, Del Mar, Solana Beach, and Encinitas. In return, we work to give back to communities in need throughout San Diego County.